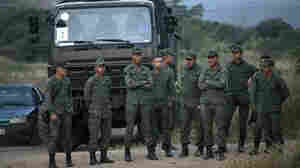 February 25, 2019  "The struggle in Venezuela is between dictatorship and democracy," U.S. Vice President Pence said in Colombia. 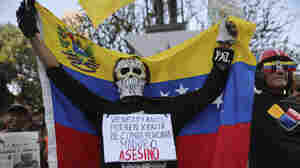 He was there to support Juan Guaidó, who has declared himself Venezuela's interim leader. 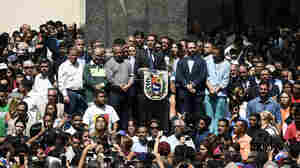 February 24, 2019  The meeting is set for Monday in Bogota, Colombia. 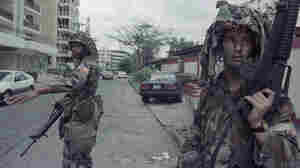 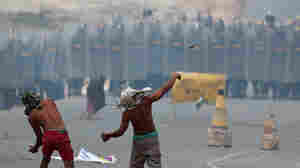 At least four people were killed in clashes at the border Saturday, as military forces blocked humanitarian aid from entering the country. 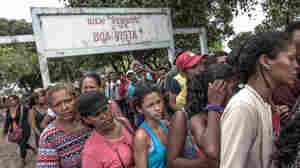 February 22, 2019  President Nicolás Maduro issued the order in an apparent effort to make it harder for international aid to enter the country and buoy his political opponent, Juan Guaidó. 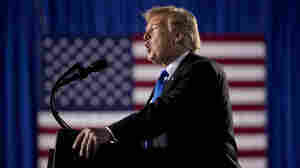 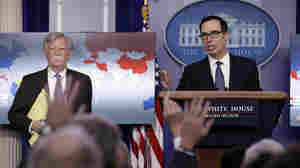 February 18, 2019  The U.S. president urged military leaders to stop blocking food aid from entering the country, and said those who refuse to accept the opposition leader "will find no safe harbor ... no way out." 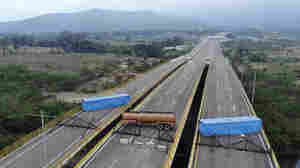 February 8, 2019  The military, which backs President Nicolás Maduro, has barricaded a bridge from Colombia. 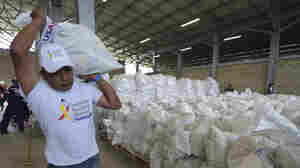 Opposition leader Juan Guaidó, along with the U.S., is demanding that the aid convoy be allowed to pass. 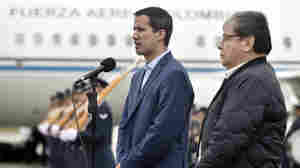 February 4, 2019  More than a dozen nations in the Western Hemisphere, known as the Lima Group, also admitted Guaidó's interim government as a full member. 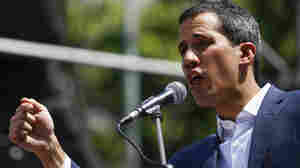 February 2, 2019  Francisco Yanez is the first high-ranking officer to publicly voice support of Venezuela's opposition leader, Juan Guaidó. 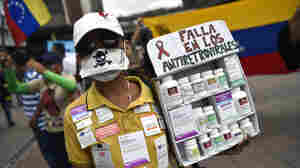 Both anti- and pro-government demonstrations are taking place on Saturday.